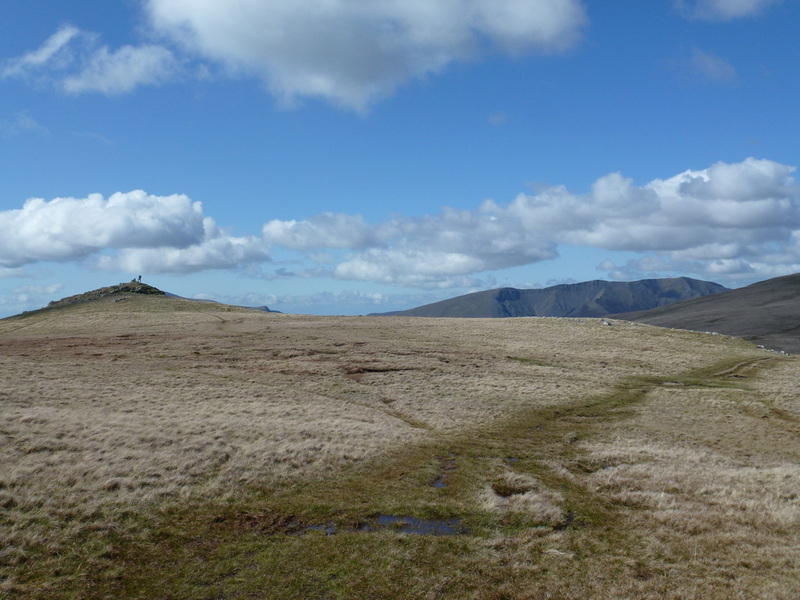 Good grassy and stony paths. 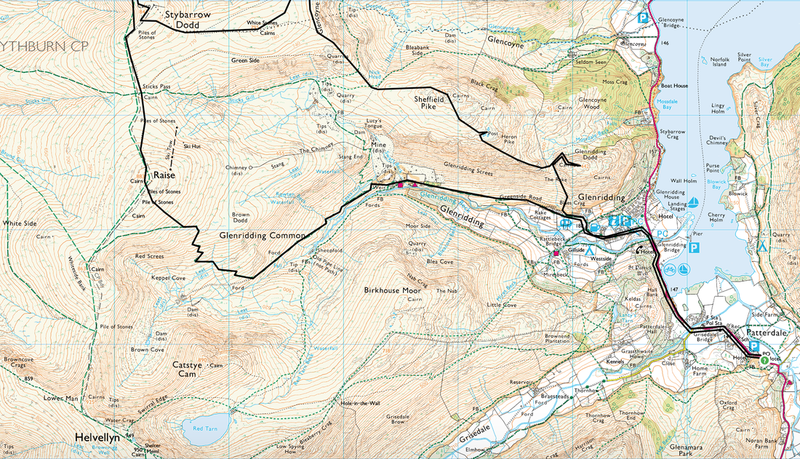 There is some easy scrambling up to Heron Pike & Sheffield Pike. 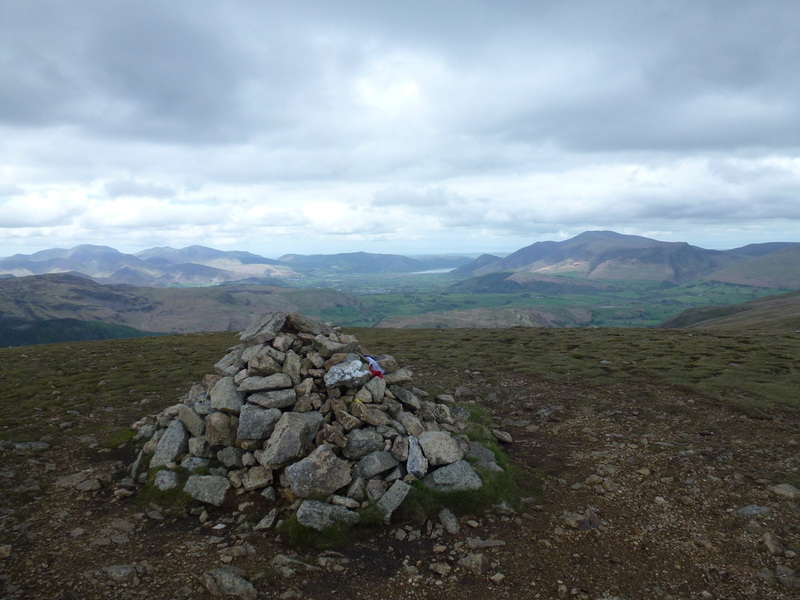 ​We were in the Lake District primarily to get in some long walk training prior to completing the Pennine Way next month. 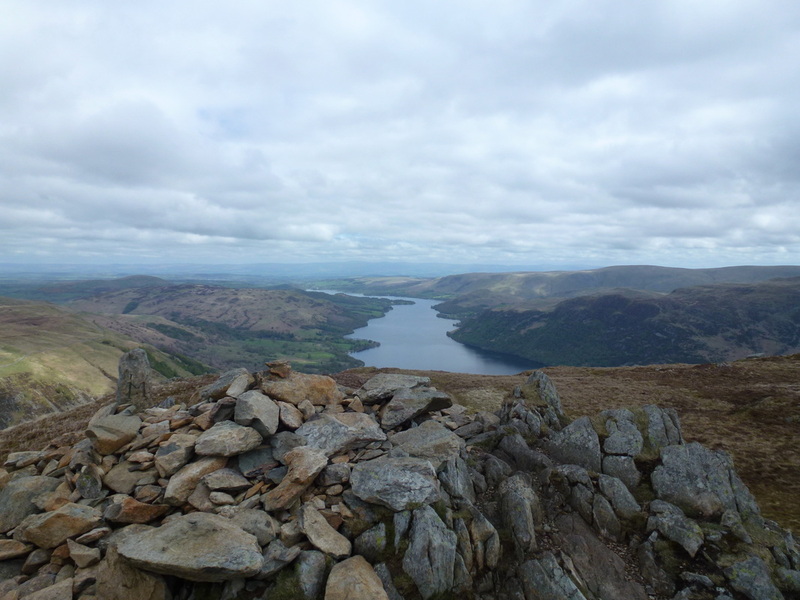 What better preparation than a long walk over The Dodds taking in 8 Wainwrights and heading right out to Clough Head before turning back to Glenridding via the Sticks Pass & Raise. 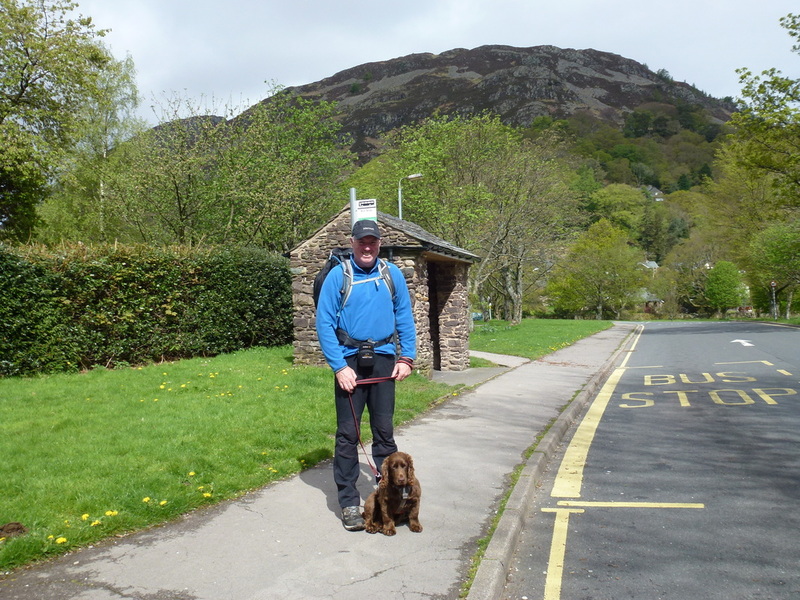 The walk started for us in Patterdale but can easily begin in Glenridding where there is plenty of parking - both free and expensive. 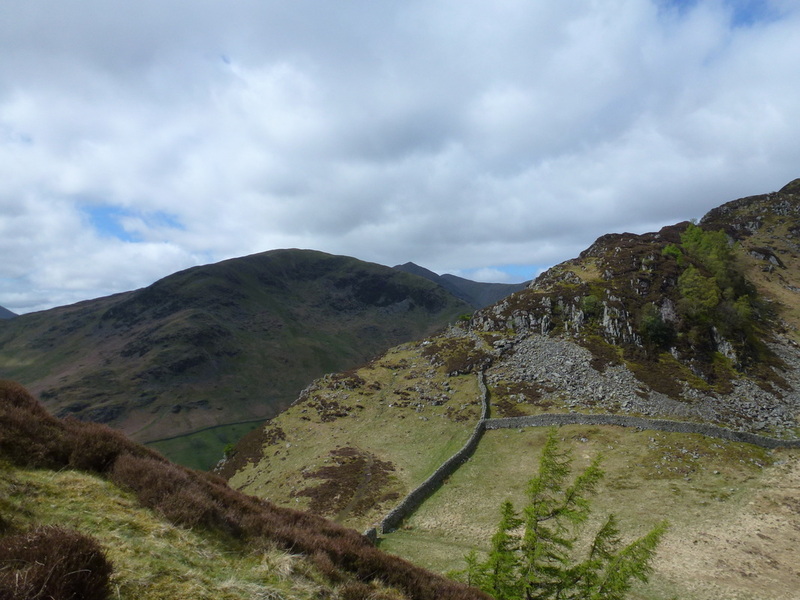 We headed out of the village on the Greenside Road before branching off to head up The Rake which is a steep, stony path up to the col between Heron Pike and Glenridding Dodd. 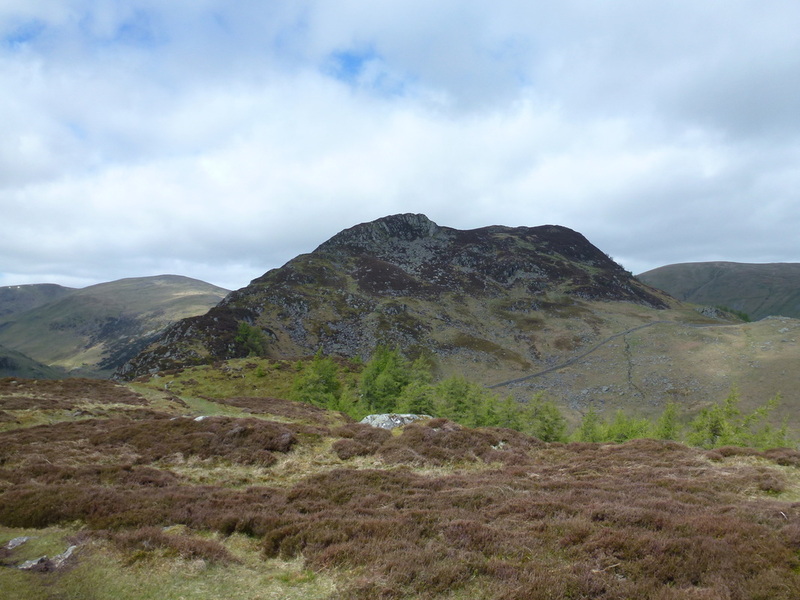 From here we took the obvious path to the left of Glenridding Dodd that sweeps to the right to gain the summit. 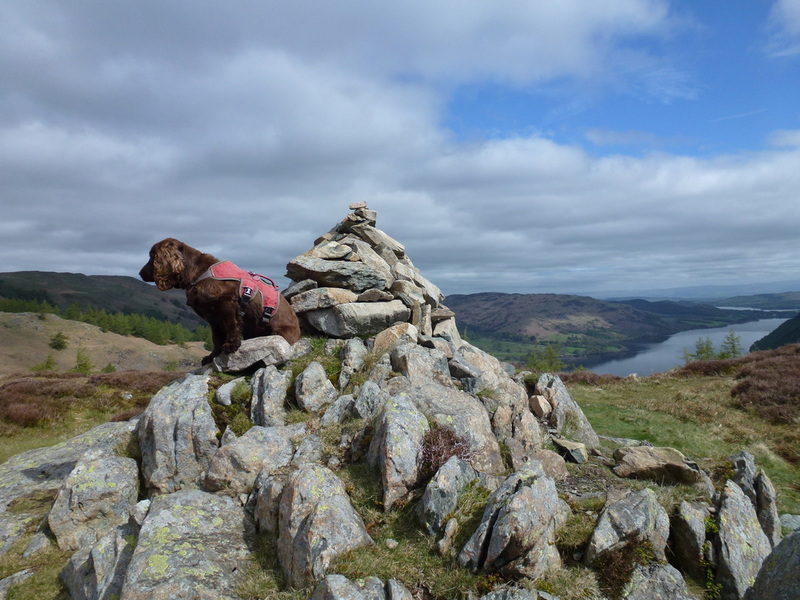 From this modest summit there are good views down Ullswater and over to Birks & St Sunday Crag. 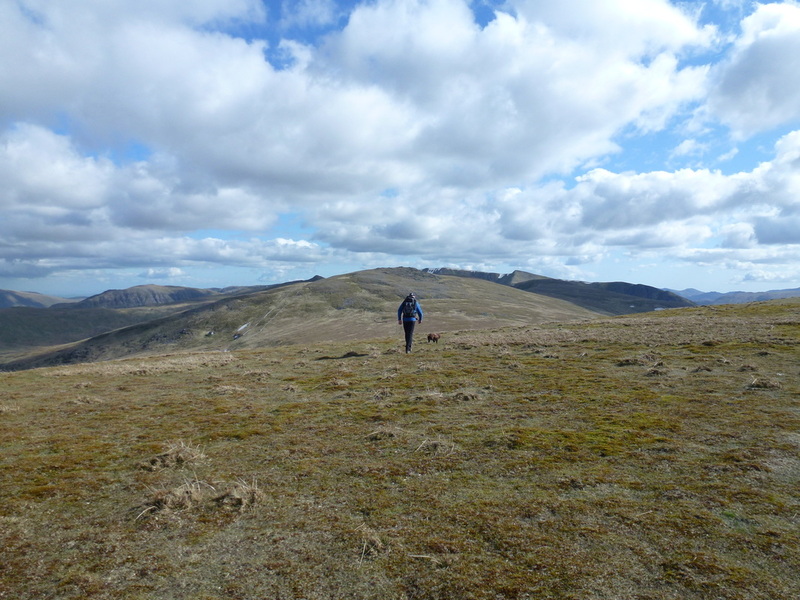 We headed back down to the col to make the steep ascent up on to Heron Pike from where there is a gentle rise up to the summit of Sheffield Pike. 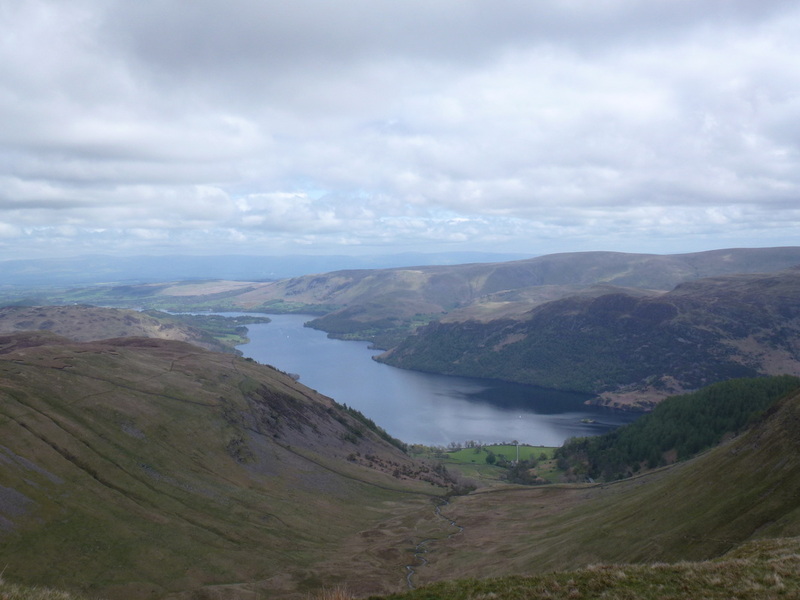 Again, from the summit there is a lovely view down Ullswater and over to the surrounding panorama of fells. 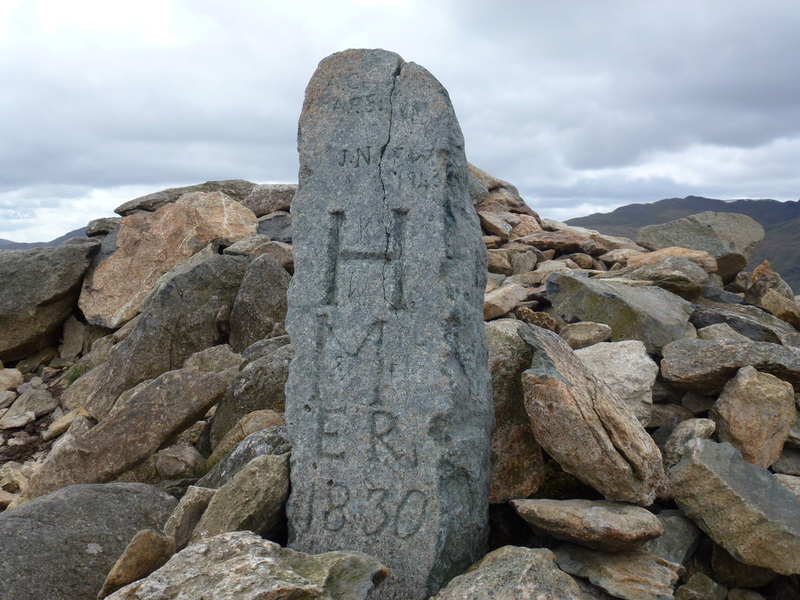 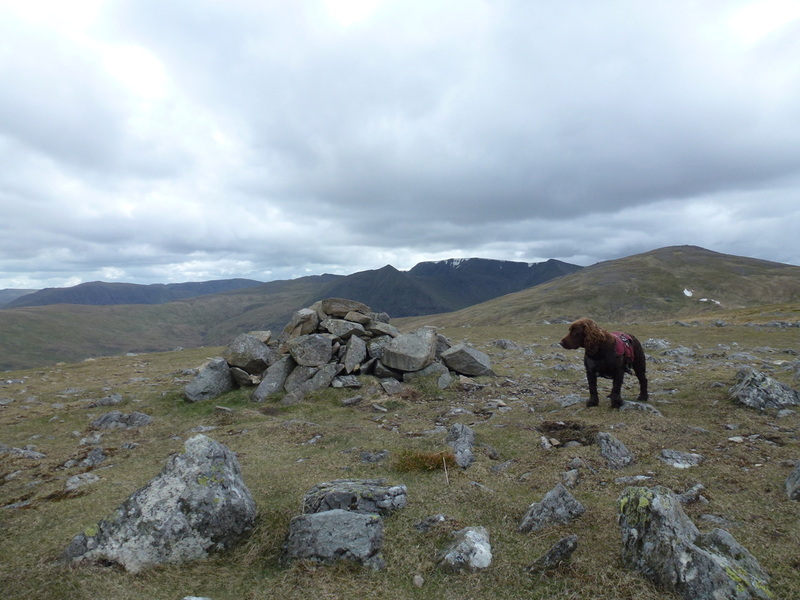 The next objective was to head down to Nick Head from where there is a choice of paths - either head on up to White Stones or, as we did take the right hand track up on to the summit of Hart Side. 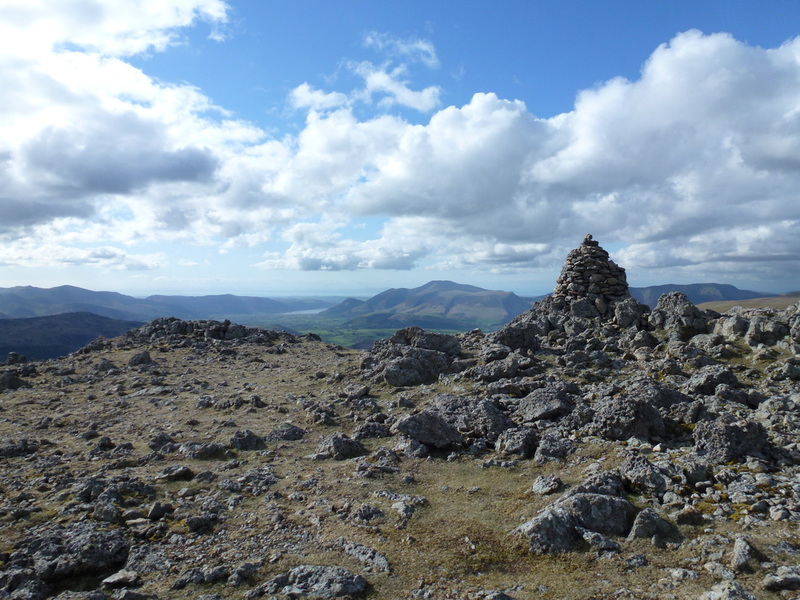 Once up on the summit The Dodds come into full view and in good visibility the onward route is never in doubt although in poor viz then care would obviously need to be taken via map and compass. 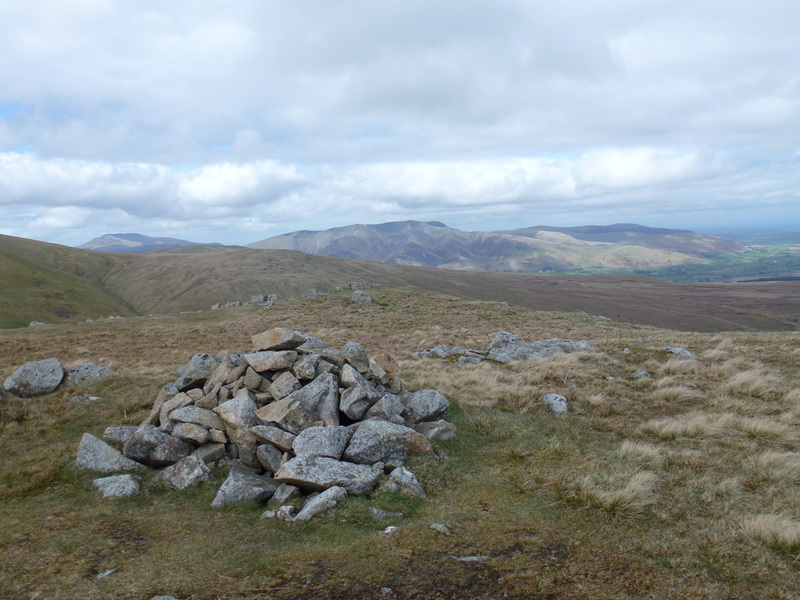 White Stones was our next target and from there we made our way along the short uphill track up on to the summit of Stybarrow Dodd. 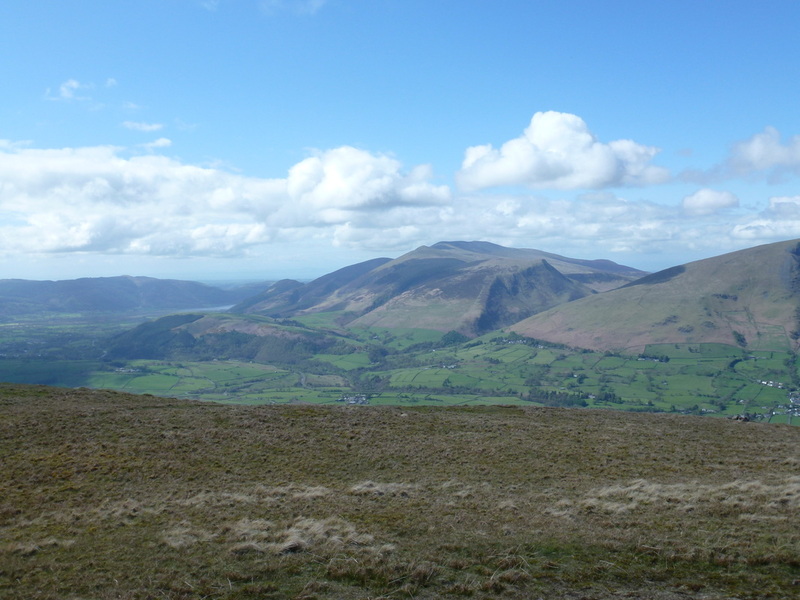 There are another couple of options here - either go over to Watson's Dodd or head up the long sweeping path to the summit of Great Dodd - six of one, half a dozen of the other therefore we took in Watson's Dodd first and then cut across to the main path leading up to Great Dodd. 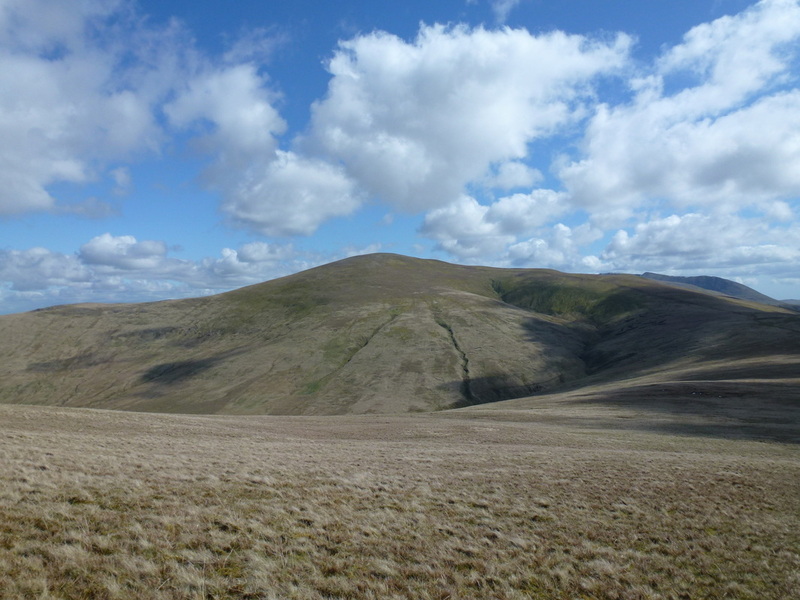 It was on the summit of Great Dodd that we needed to make a decision as to whether we walked all the way out to Clough Head or turn back and head for the Sticks Pass junction. 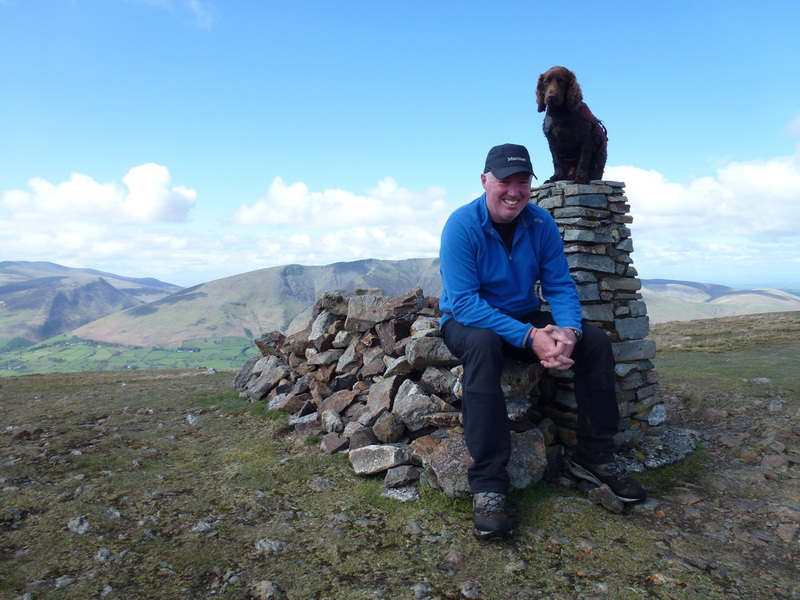 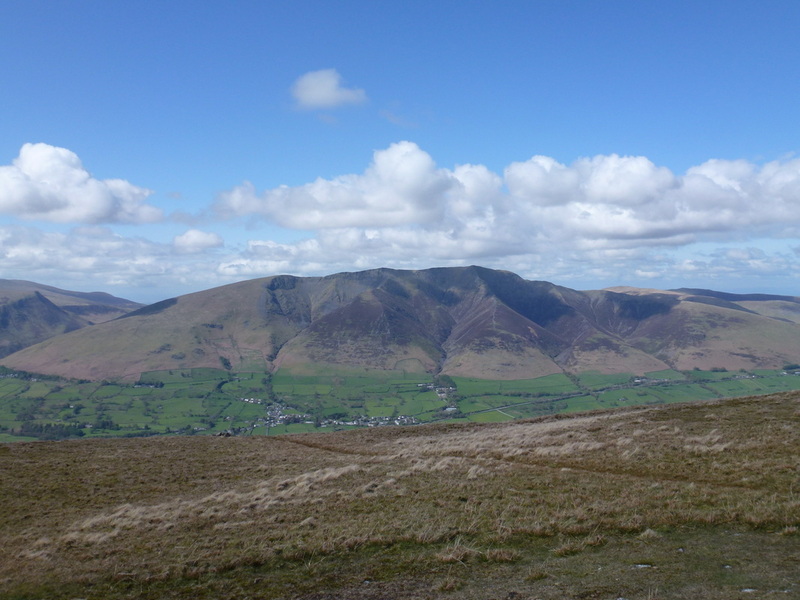 We were feeling pretty fresh therefore we decided to visit Clough Head - also the weather had improved markedly therefore with the promise of excellent views over to Blencathra & Skiddaw, on we pressed. 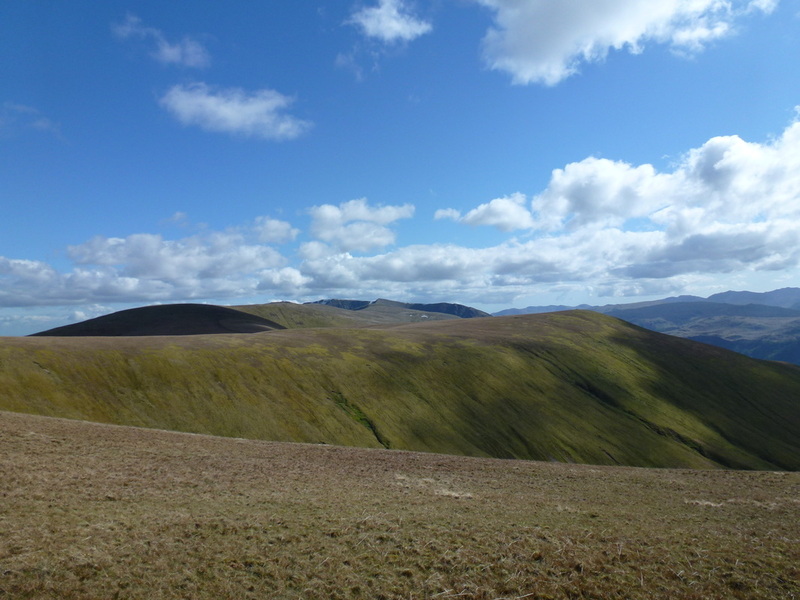 From the summit of Great Dodd the rise over to Clough Head looks very gradual and gentle but is far from it. 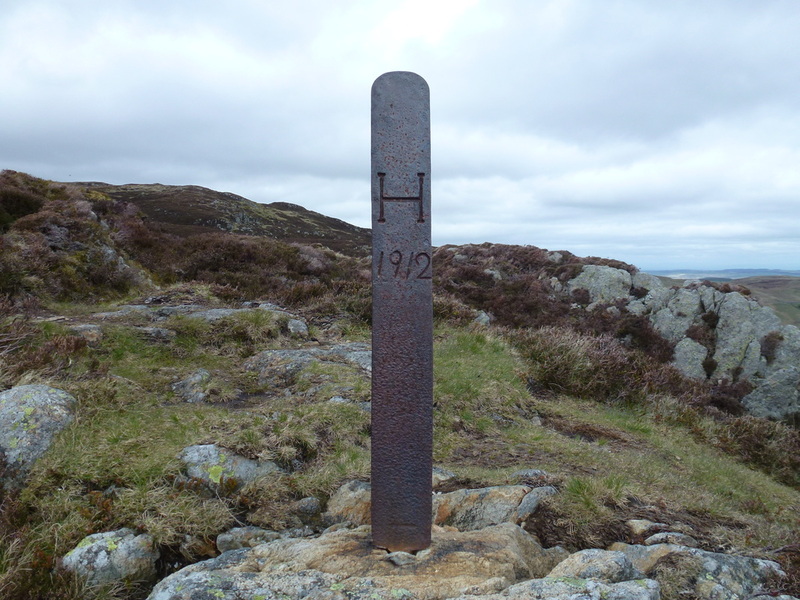 The incline is steeper than it looks from afar and we were glad of a rest at the Trig Point on Clough Head's top. 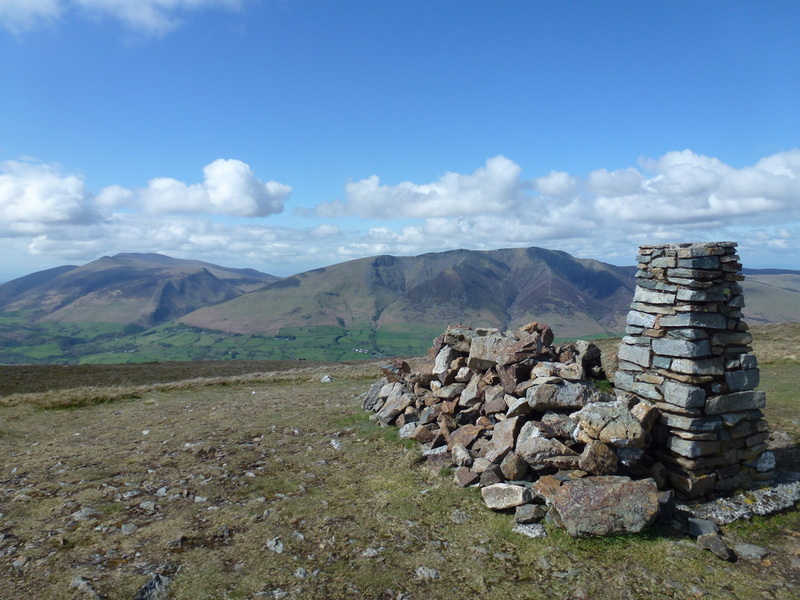 As said earlier, on a blue sky day there is a fantastic view over to Blencathra and down to the Skiddaw range. 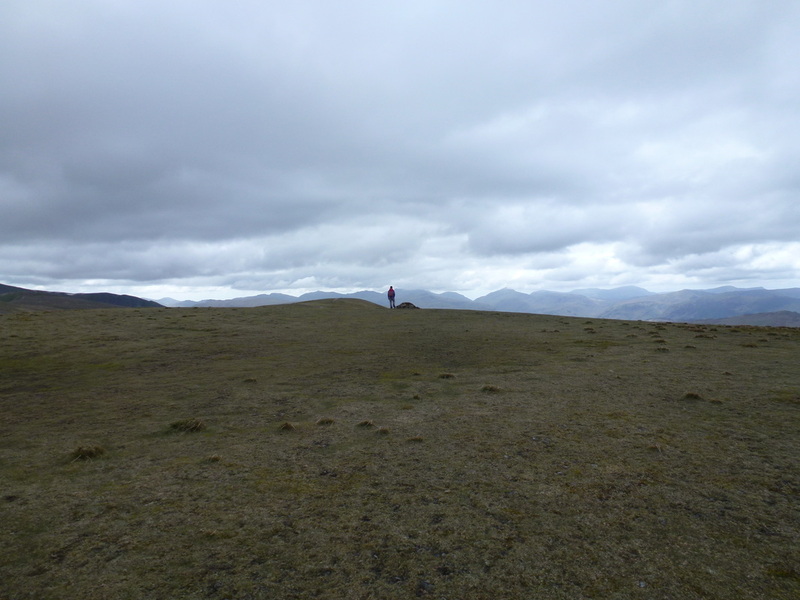 Leaving Clough Head we took in the summit of Calfhow Pike before heading to the flank of Great Dodd to pick up the original path and then dropped down the incline to the Sticks Pass junction. 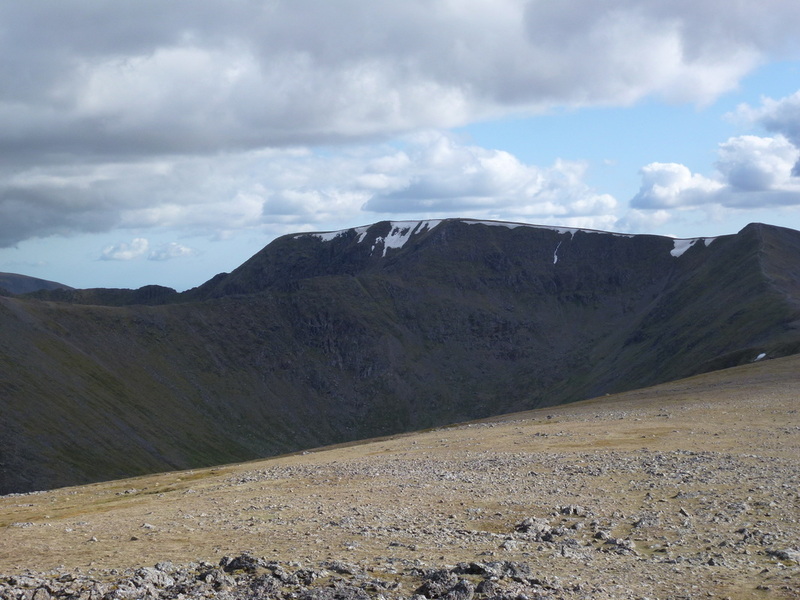 From here it was a simple case of gritting our collective teeth in order to get up the long, steep pull on to the summit of Raise. 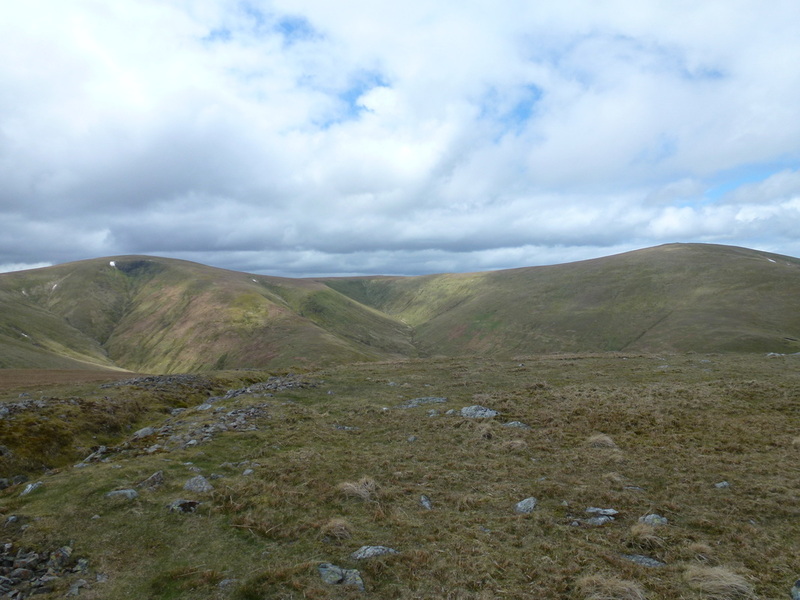 Tempted as we were to bag White Side, enough was enough and we reluctantly headed down over rough slopes to pick up the zigzag path down in to Keppel Cove, passing to the left of the breached dam. 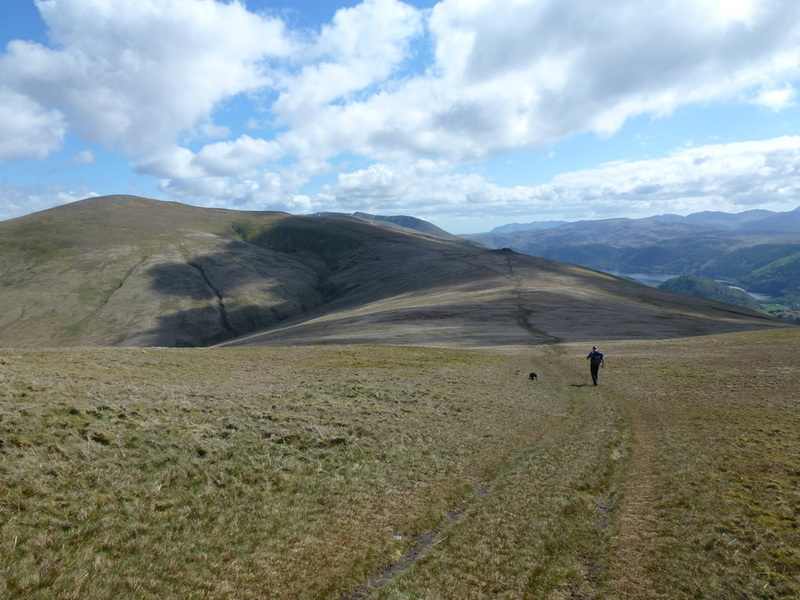 It is a long way down the Keppel Cove path and from the bottom of it there is still much mileage to do before reaching the mine works and the start of the Greenside Road back to the village of Glenridding. 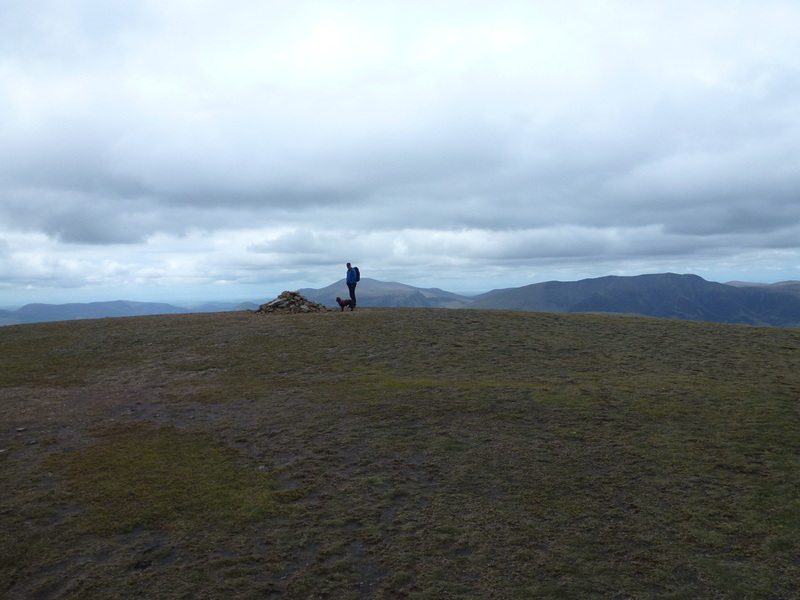 We have been up on The Dodds a few times now and this was the best of them. 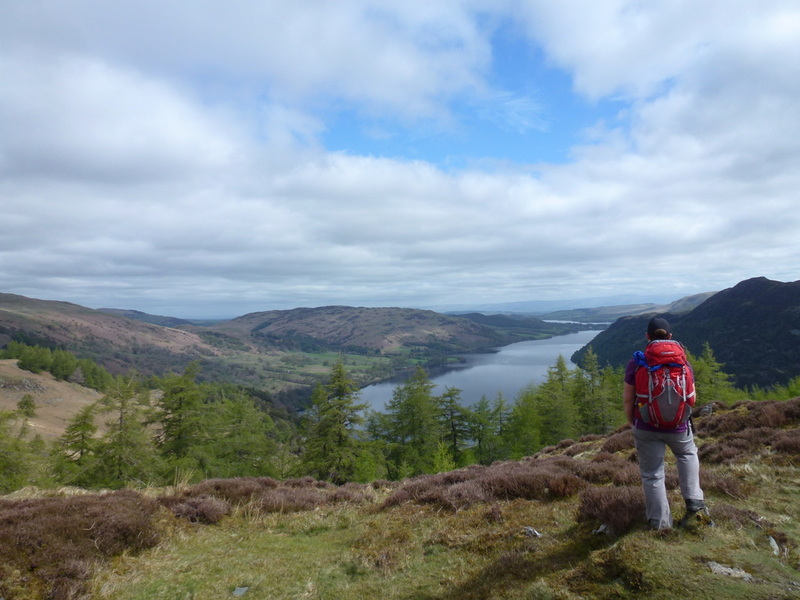 Yes it was a long way today but it is a walk to take all day over and savour and we did just that. 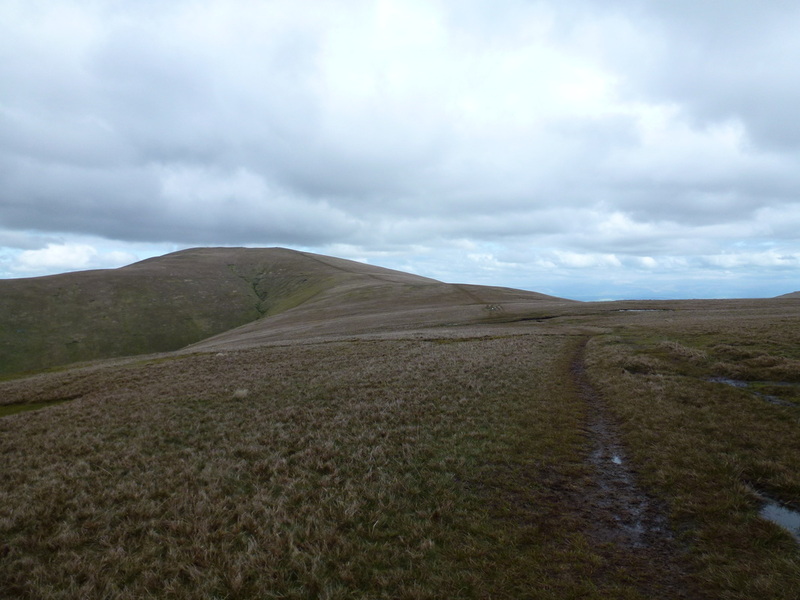 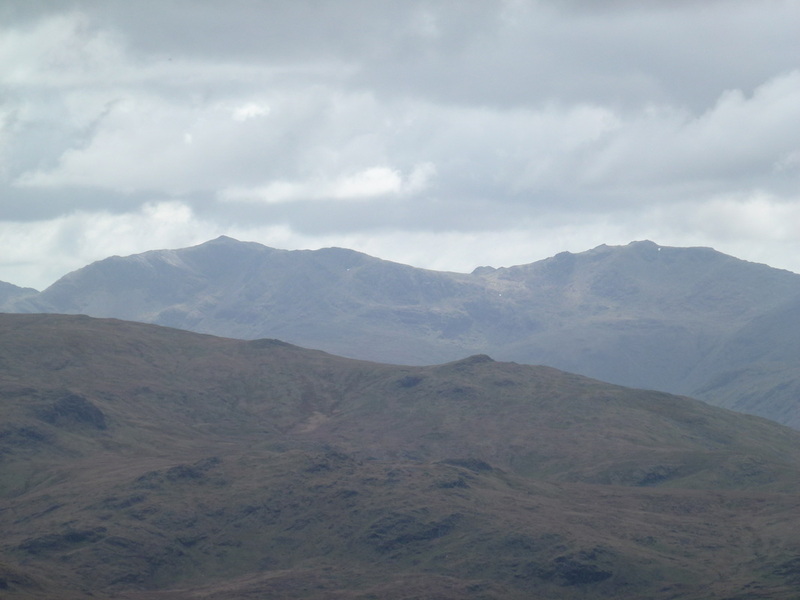 The weather remained on our side, as did the visibility - particularly from Clough Head. 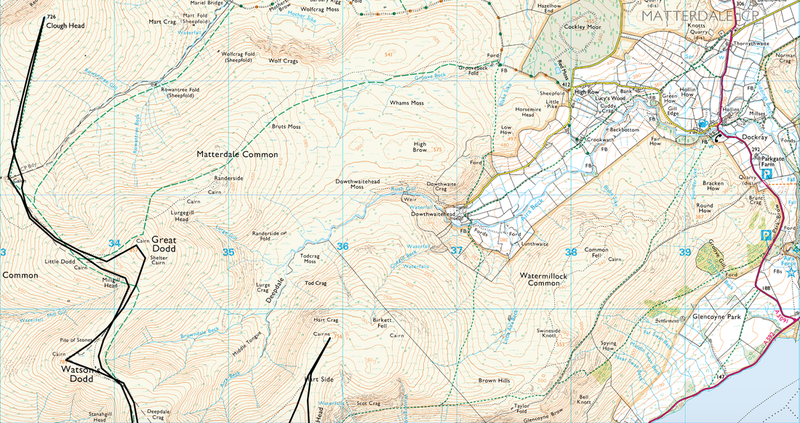 The meal and beer in Ratchers tasted very good that night! 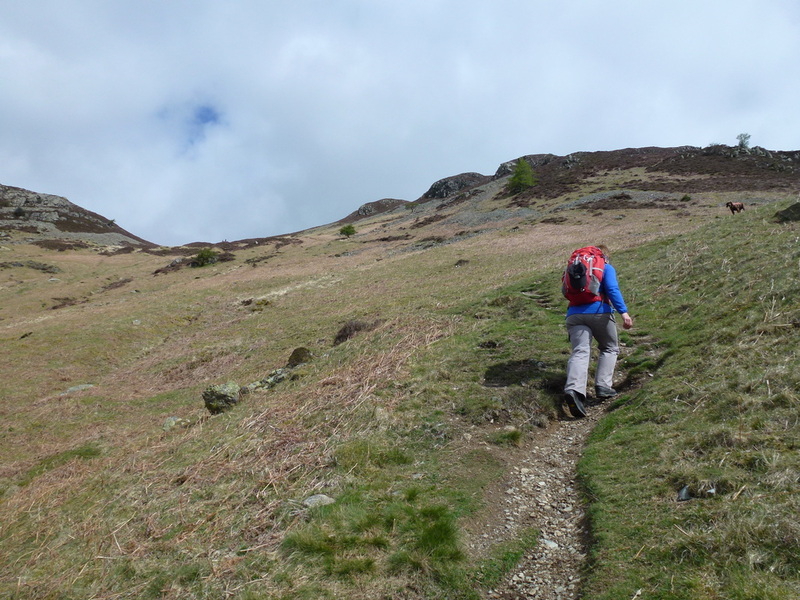 Heading up The Rake path to the col between Glenridding Dodd to the right & Heron Pike to the left. 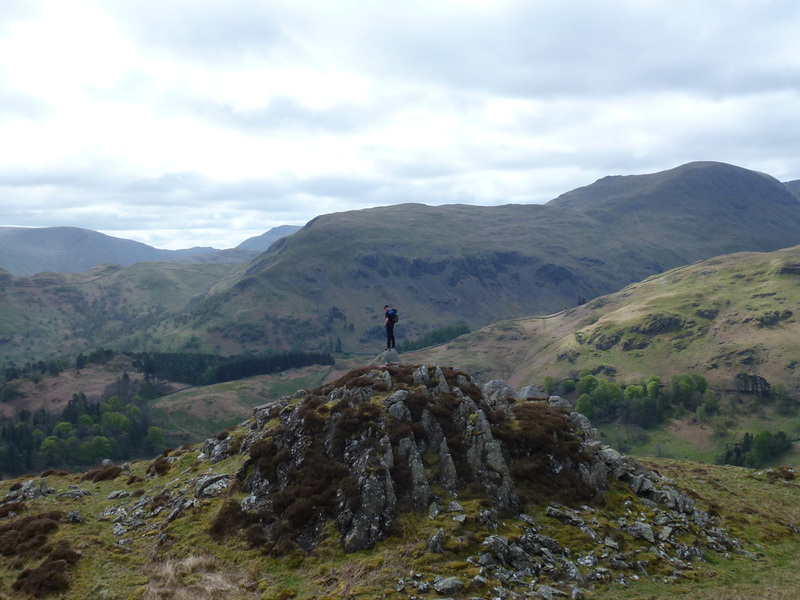 Reaching the col and wall at the top of The Rake we headed right to climb the short way up to the summit of Glenridding Dodd. 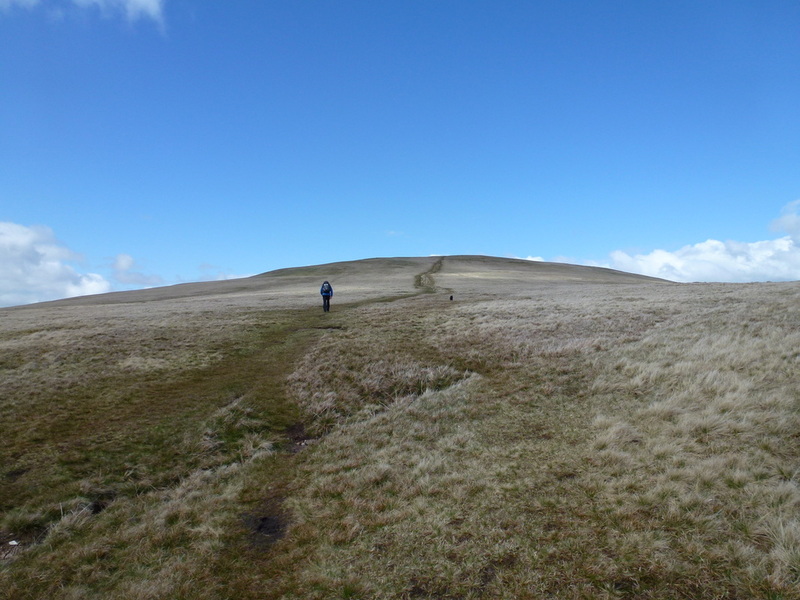 The path veers around to the left and then rises up to the summit. 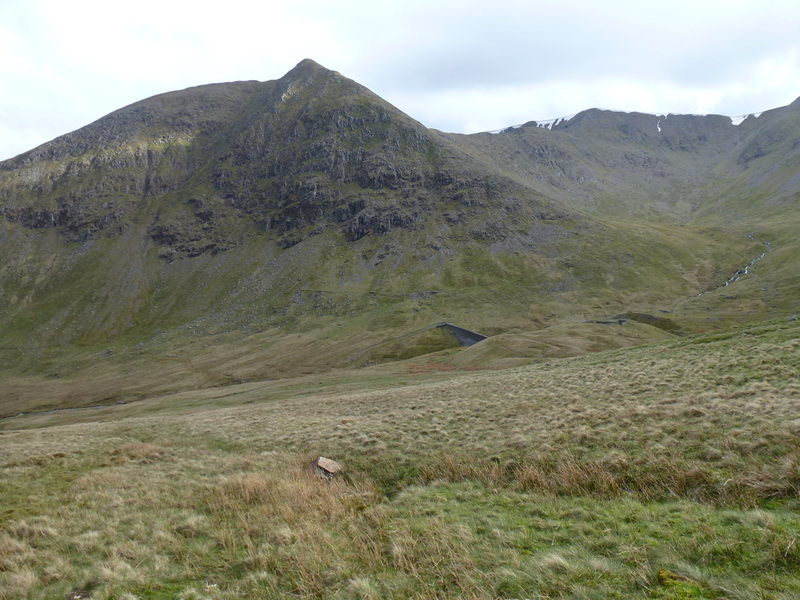 Heading back down to the col looking to Birkhouse Moor with Catstycam & Helvellyn Lower Man peeping out. 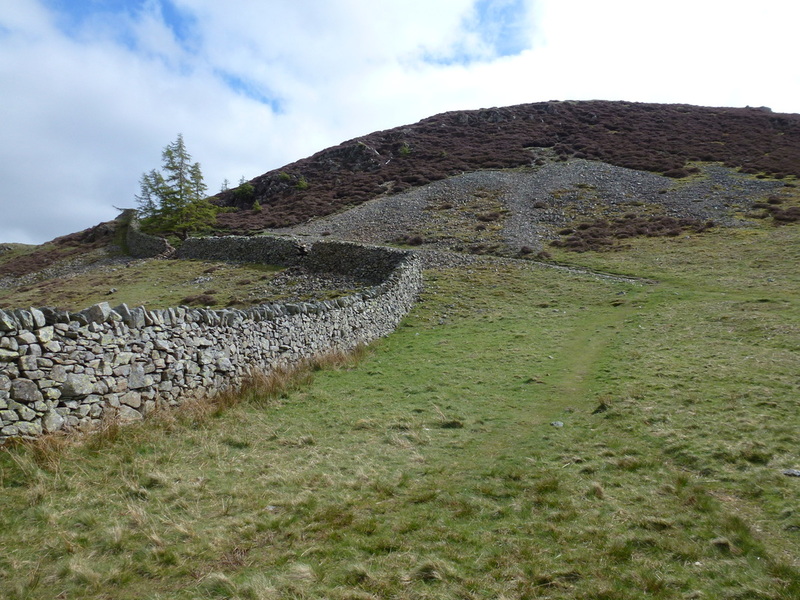 The route of ascent up Heron Pike is to the left of the wall moving up the fell. 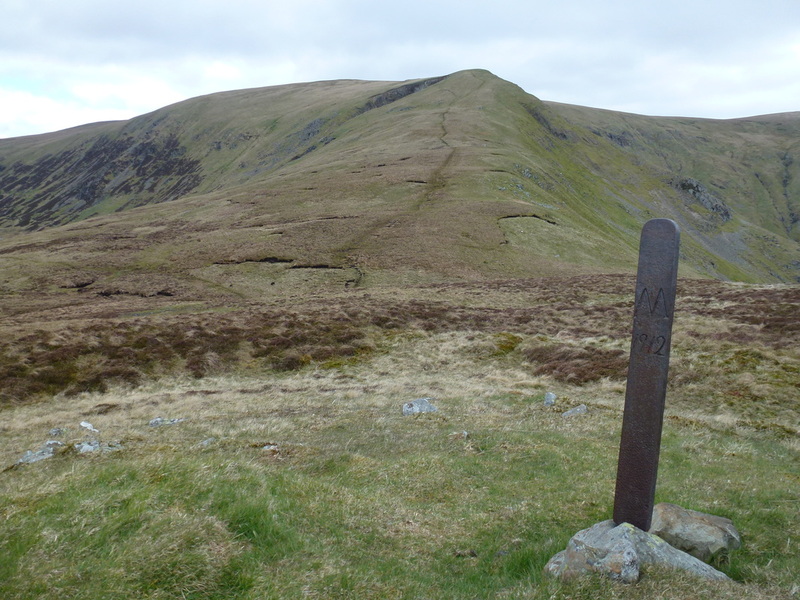 The path to Clough Head - from Great Dodd this looks a fairly gentle ascent, believe me it isn't!